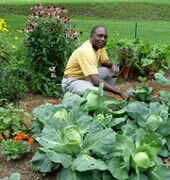 With spring’s arrival and the weather steadily improving expect a flurry of activity both in the garden and here on the Veggie Gardening Tips website! This post will fill you in on what I’ve been up to, as well as what I have planned for the start of this growing season. My first highlight this year was the PASA Conference that was held during February in State College, Pennsylvania. I left with plenty of new ideas and gardening tips that I will be sharing as I try them out for myself this spring and summer. One new concept that I picked up is related to Korean Natural Farming, these techniques involve the use of microorganisms for soil improvement and plant growth, and avoids the application of chemicals, pesticides, or herbicides to the farm or garden. I am especially interested in the homemade preparations such as Fish Amino Acids, Fermented Plant Juice, Indigenous Microorganisms, and other recipes that can be created and used to improve the health and growth of the garden. 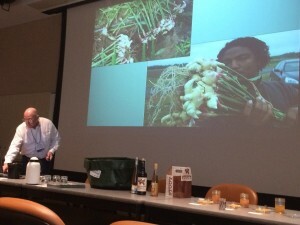 Other workshops and lectures that I attended at the PASA Conference and will be writing about this season include; new ideas for intensive vegetable growing; methods for cultivating baby ginger in temperate climates; advanced seed saving techniques including pollination control in small areas, and ideas for saving seed of biennial vegetables; and tips for using low tunnels for winter vegetable production. 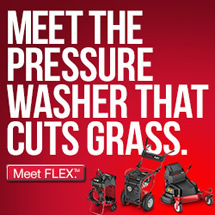 I’m happy to share that Troy-Bilt has extended my contract and I will be writing and conducting product reviews for the company again this season! Things kicked off with a visit to Austin, Texas earlier this month where the Saturday6 team gathered for a few days of fun and labor. We attended a company presentation, visited the Lady Bird Johnson Wildflower Center, checked out some Troy-Bilt products, and worked on a Taking Root project, garden installation for the Travis County Park System. We were introduced to an upcoming Troy-Bilt product line powered by CORE that includes a leaf blower, hedge and string trimmers, and even a lawn mower that all run without cords or gasoline. I will get my hands on a Leaf Blower powered by CORE this spring and the CORE Mower later this year to share my impressions. 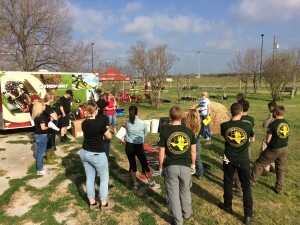 The Saturday6 team also joined with a group of young Texas Conservation Corps workers to install a raised bed garden, fruit trees, grape vines, and berries at a local county park. I’ll spend the week camping out on the property at Walnut Ridge where Sandor’s school is located and will learn about the art and practice of some more advanced skills associated with fermentation. 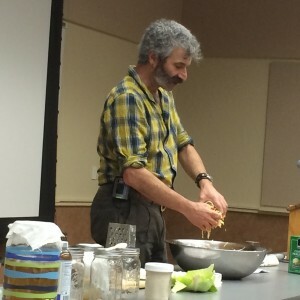 I especially hope to gain knowledge of the fermentation of grains, legumes, and beverages to create products such as miso, tempeh, sourdoughs, Koji, kvass, and various fermented condiments. Back at home the major project that I’m planning is to expand my garden by adding new beds and growing areas in several sections of my landscape. Some of my objectives are; to create a garden bed that is focused on pollinator-friendly plants to increase beneficial insect populations, and also to grow more herbs, wild edibles, and medicinal wild plants. And just in time for this ground breaking and garden expansion I’m planning to review a Troy-Bilt Pony Electric-Start Garden Tiller. I’ve been a user and fan of Troy-Bilt tillers for a long time and I’m interested to put this one through its paces and write a review as I build my new beds and work on a number of other backyard projects where I’m sure the extra muscle will come in handy! I am also participating in a Foraging/Rewilding Program here in Central PA that began earlier this month and will run into the fall season. The focus is on the identification and use of wild plants, and our group led by Nathan Carlos Rupley will spend one day each month exploring fields and forest to learn more about the plants and fungi that surround us. 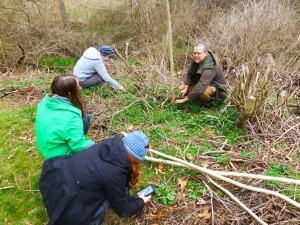 During the first session we pored over plants such as Spicebush, Hairy Bittercress, Garlic Mustard, Chickweed, Ramps, Skunk Cabbage, and more. I’ll be sharing my foraging experiences here and hope that I can inspire you to learn some new wild plants yourself this season. 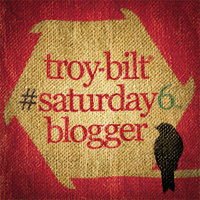 So check back for updates, Troy-Bilt equipment reviews, a review of the fermentation residency program, Natural Korean Farming techniques, the status of my garden expansion, and more that I will cover this growing season!